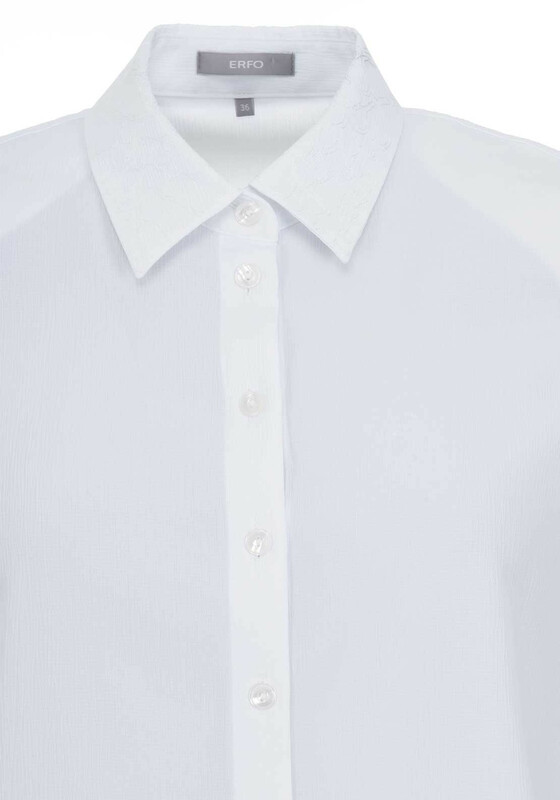 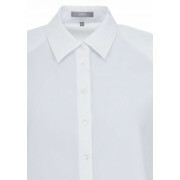 ERFO presents this classic white blouse which has a pretty embroidered print on the turn down collar. 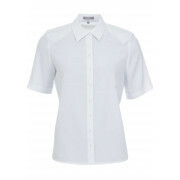 Easily matched to wear with almost any skirt or pair of trousers in your wardrobe. 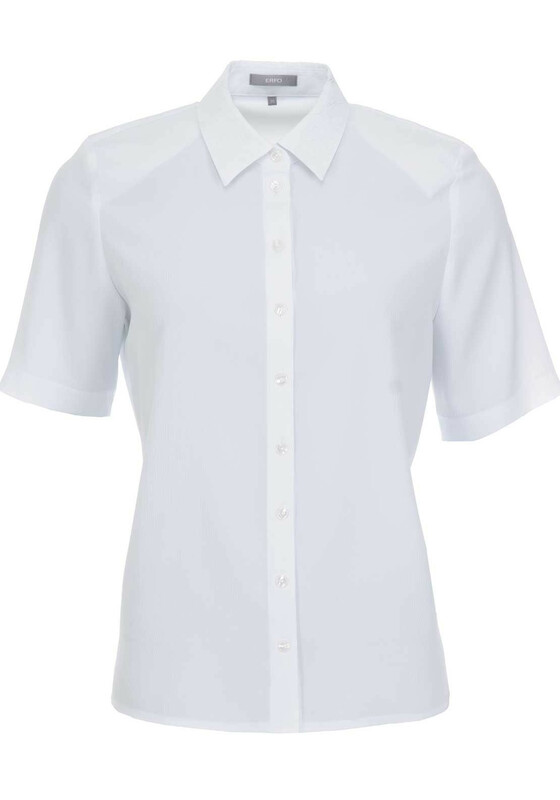 Styled with a figure skimming shape and short sleeves. 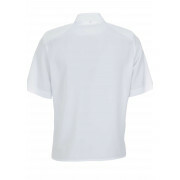 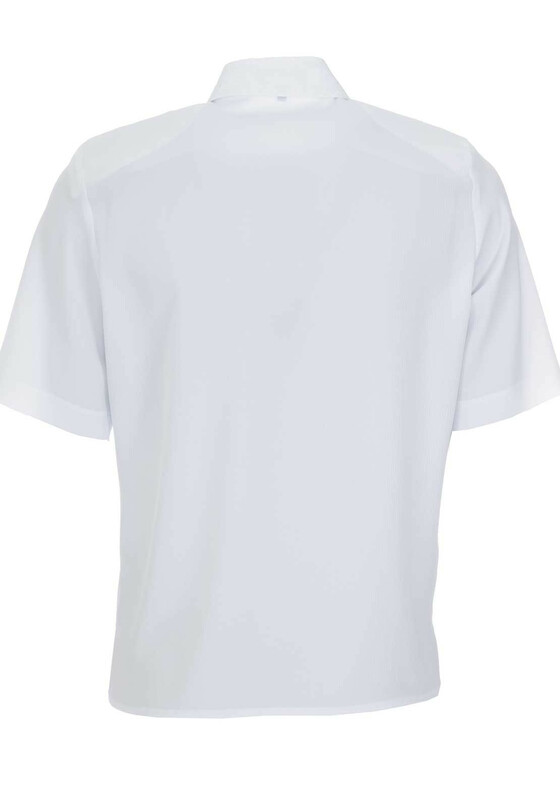 Made from lightweight textured fabric which will be soft against the skin.